India recently reclaimed the tag of “world’s fastest growing economy” from China. With a GDP growth rate of 7.2% in 3rd quarter of FY 2017, India has surpassed every other developing or developed economy by a huge margin. Though it sends a positive message throughout the economy, there is one index on which India’s performance is continuously worsening; that is unemployment. India’s rate of employment has declined steeply, and job creation has not been at par with working-age population. 65% of the Indian population has an average age of less than 35 years. Such a large young population could be our strength if put to employment, which is unfortunately not the case. The unemployment rate in India hit its highest level in March at 6.23%, according to the Centre for Monitoring Indian Economy (CMIE), an independent think-tank. Clearly, the situation is quite distressing. While we are discussing the declining employment rates, it is also imperative that we discuss its underlying causes as well. 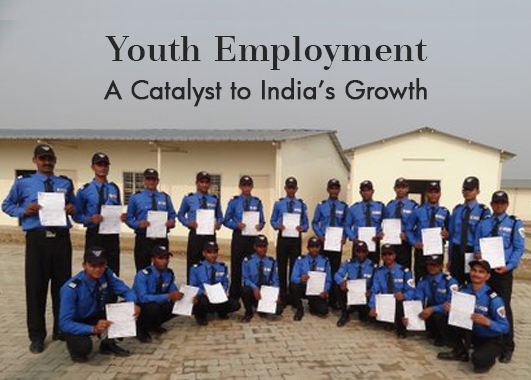 Solutions, so far Indian government is making efforts to correct the alarming situation of youth unemployment. Various schemes and initiatives like Skill India, Make in India, Prime Minister’s Employment Generation Programme (PMGEP), Pradhan Mantri Rojgar Protsahan Yojana, and Pradhan Mantri Kaushal Vikas Yojana are just some steps taken by government aimed at redressing the current situation. Many Indian corporate houses and conglomerates are also taking charge and doing their bit to team up with these government initiatives and salvage the problem of unemployment in India. 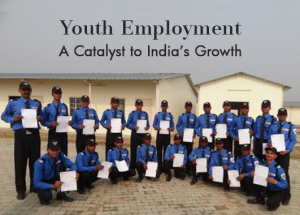 Big corporate houses like The Wave Group are planning their CSR activities with a motive to engage youth in skill development activities and train them in employable skills. The Ponty Chadha Foundation has set up Sardar Kulwant Singh Chadha Academy, a world-class skills development academy. Located in Ghaziabad, this institute has a capacity of 120 to 150 students per programme. Keeping in mind the current demand of market, this academy imparts training in security services, facilities management, firefighting and real estate. Clearly, the only solution to fight unemployment is that government works towards creating jobs and corporates lend a helping hand in training the workforce. Also, while skill development is crucial, these initiatives should be supplemented by more comprehensive programmes and favourable policies that target the most vulnerable and disadvantaged youth. This entry was tagged jobless growth, joblessness, problem of rising unemployment, solve unemployment problem, unemployment, unemployment rate in India, unemployment rise in India, youth unemployment causes and solutions. Bookmark the permalink.